URS agreed to pay $9 million to settle federal fraud charges brought under the False Claims Act. URS inherited the liability when it acquired Washington Group International, often referred to as WGI. Prosecutors claimed the company fraudulently obtained five different USAID contracts in Egypt. The United States Agency for International Development (USAID) is the government’s leading foreign aid agency. Each year it funds billions of dollars of relief projects worldwide. Most of those projects are in third world, developing or war torn countries. Unfortunately, the contracts are often rife with corruption. USAID typically finances these aid projects. The projects are often between U.S. contractors and the recipient country. One of those countries is the Arab Republic of Egypt. 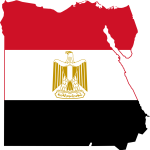 The American government agreed to finance several water and wastewater treatment facilities in six Egyptian cities. In 1996, USAID announced a bidding process for these projects. There were strict eligibility standards to become a bidder. Only U.S. contractors were eligible to bid. A predecessor entity of WGI (now URS) was awarded several of the contracts. They certified that they were a U.S. eligible contractor but failed to disclose a partnership with an Egyptian contractor. Had they disclosed the relationship, they would not have been eligible. The contracts were quite large. By our calculations, WGI and its co-defendants received payments of $109 million, $98 million, $91 million and $34 million on these contracts. WGI also bid and received other USAID funded contracts in which it failed to disclose its partnership with an Egyptian company. The USAID program allows American contractors to help foreign governments build vital infrastructure. When companies violate the bidding requirements, they often do so by having undisclosed partnerships or joint ventures with foreign contractors. This allows them to underbid. U.S. contractors that follow the law are harmed because they can’t match the prices and therefore do not receive the work. The case was brought under the federal False Claims Act, a Civil War era whistleblower statute that allows private individuals to bring lawsuits on behalf of the government. The law is popular with whistleblowers because they can receive up to 30% of whatever the government collects from wrongdoers. WGI settled the case by agreeing to pay $9 million. As noted above, URS is a successor to WGI. In settling the lawsuit, the company was not required to admit any wrongdoing. Whistleblowers aware of other violations of USAID contract violations or fraud may be eligible for an award. Awards may also be payable for companies that misrepresent themselves as Service Disabled Veteran Owned Small Businesses or minority owned businesses. The awards are real – to date, our clients have received over $100 million in award monies. Do you have information that you wish to discuss confidentially? Call us. All inquiries are protected by the attorney-client privilege and kept strictly confidential. Worried that a non-disclosure agreement keeps you from reporting fraud? It doesn’t. Again, give us a call. Every case is unique. We can help you evaluate if you have a good case. or by telephone at (414) 704-6731 (direct). You can also download our no cost, 11 step whistleblower guide.